Stream’s ChatBETA API & UI Components enable you to ship in-app messaging in just a few hours. Our highly reliable infrastructure, Chat API and front end components drive conversion, engagement, and retention. Free feature rich React Components with perfectly matching UI Kit. 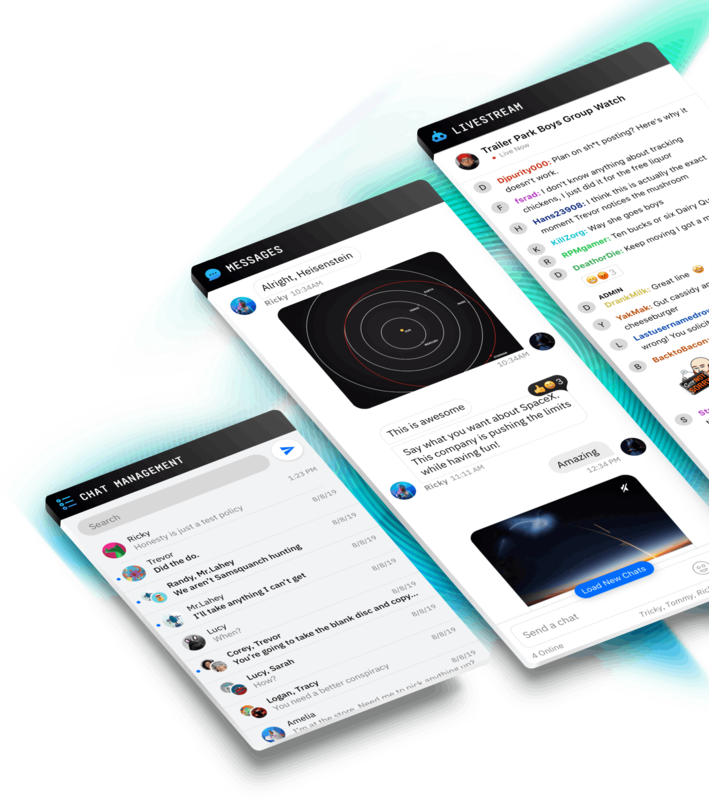 With threads and replies you can build structured chat experiences. Add emoji reactions to messages just like Slack, Facebook or iMessage. Proven API reliability that is flexible enough to build any chat experience. Increase engagement in your community or replace email for your team with chat in your app. Stream’s chat SDK allows you to build anything from a simple chat to your own Slack competitor. 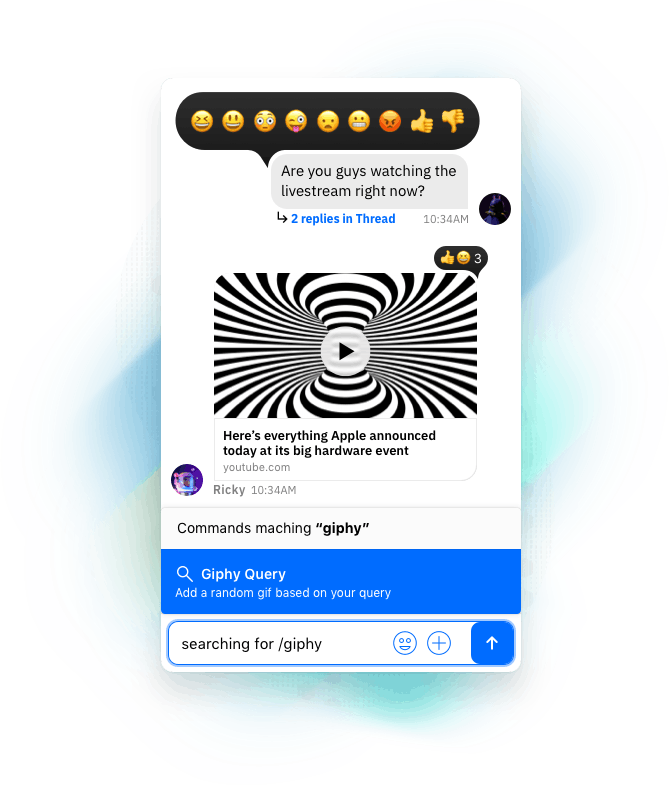 Powerful slash commands, Giphy integration and message attachments provide the building blocks of an engaging chat experience. 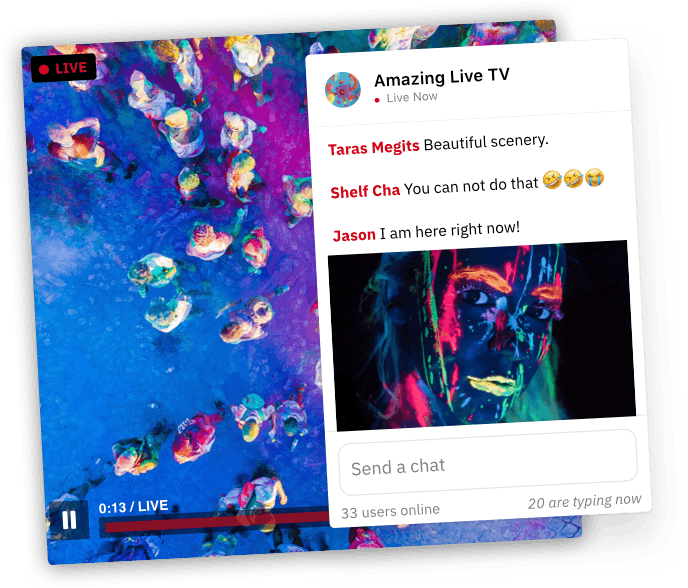 Add chat to your livestream. Giphy and emoticons give users fun ways to express themselves. AI based auto moderation keeps the conversation civil. Stream supports millions of participants out of the box. Point in time replay of the chat conversation ? Support teams require reliable chat that is available for every visitor. 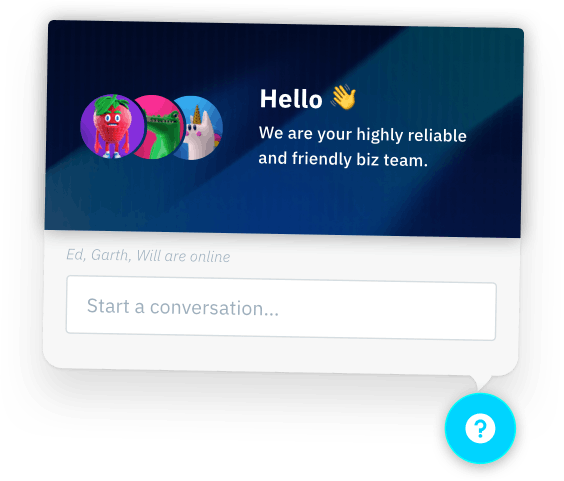 Build engaging chat with an infrastructure you can trust to make sure every question gets an answer, and every visitor can convert to a customer. Bot automation and forms ? 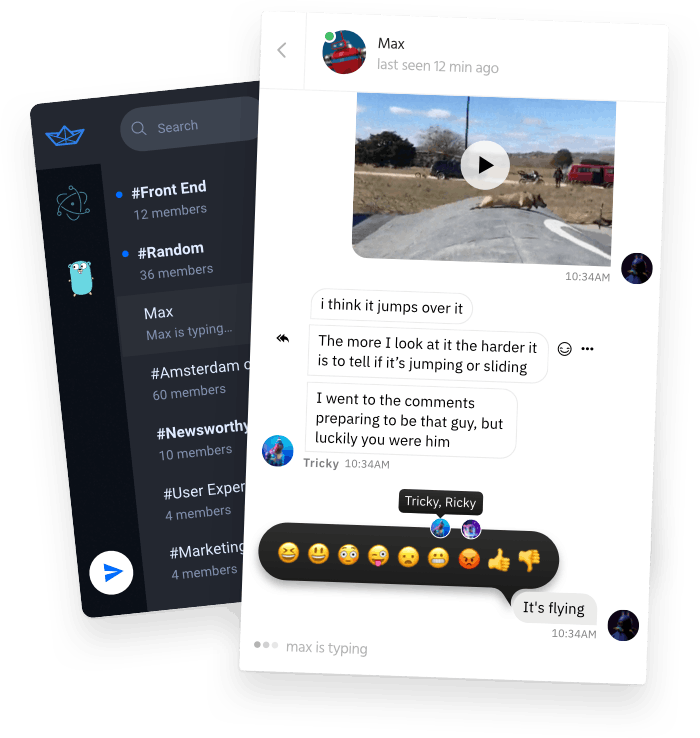 With Stream’s chat react components, SDKs, and UI kits, product teams can unleash a powerful chat experience with just a few lines of code. Maximize your development bandwidth with Stream’s flexible backend API and front-end components. Flexibility to build chat exactly how you want, unbelievably quickly. React, React Native iOS and Android UI components allow you to get started quickly. Slash commands, attachments and forms allow you to build bots or automate common tasks. Add likes or emoji reactions to messages just like Slack, Facebook or iMessage. Enable more in-depth conversation with threads & replies. Stream Chat’s worry-free scalability and infrastructure keeps your chat experience always on and available instantly. 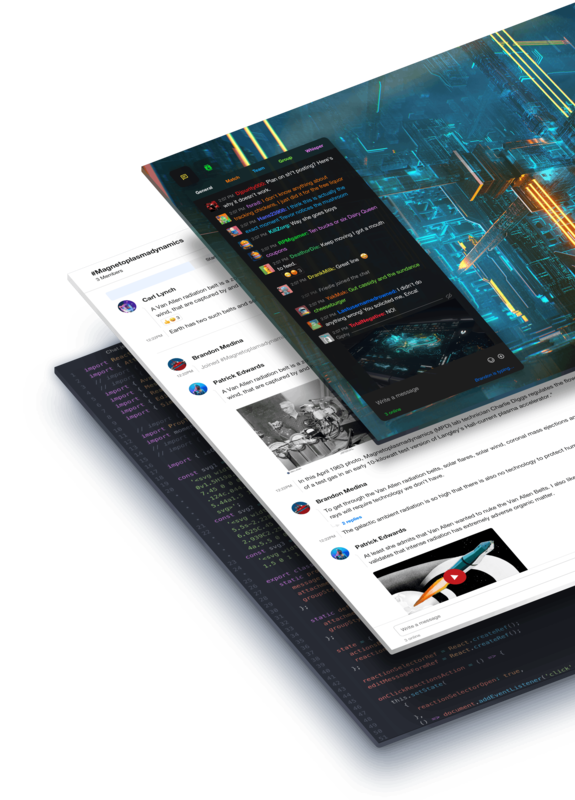 Our Chat UI Kit, Flexible API and React components allow you to build any type of chat in a matter of hours. Prefer to store data on your own servers? An on-premise option is available on enterprise plans. Scalable, reliable and blazing chat that is feature packed is more affordable than ever before. Enterprise pricing that gives you the flexibility and customization your app needs. I made a chat UI kit just for your use case. Each example in the chat UI kit is designed for the specific demands of each use case. It is my hope that everyone who uses this chat ui kit finds these examples to be flexible and adaptable to their own application. Thanks! Your download should begin shortly. We've also emailed you a direct link for safe keeping. Create Free Account Sign up now and get everything you need to ship in-app messaging in just a few hours.